The prestigious Michelin guide distinguished the quality of the restaurants of four ARTEH® Hotels in the 2018 edition. 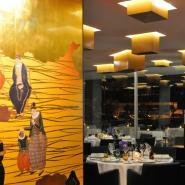 The important travel guide announced in Tenerife what it considers to be the best restaurants in Portugal and Spain. In Portugal, Vila Joya, an ARTEH® Hotel in Albufeira, maintains its two Michelin stars, the restaurant Feitoria of Altis Belém Hotel & SPA, an ARTEH® Hotel in Lisbon still maintains its one star and as also L'AND Vineyards Resort, an ARTEH® Hotel in Montemor-o-Novo. 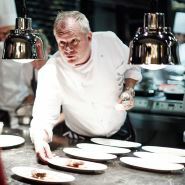 In Spain, ÀBaC Restaurant & Hotel, an ARTEH® Hotel in Barcelona has now three Michelin stars. Discover the Vila Joya, o Altis Belém Hotel & SPA, o L’AND Vineyards Resort e o ÀBaC Restaurant & Hotel with ARTEH®.